Butternut Squash Mac & Cheese Fill 1 Created with Sketch. 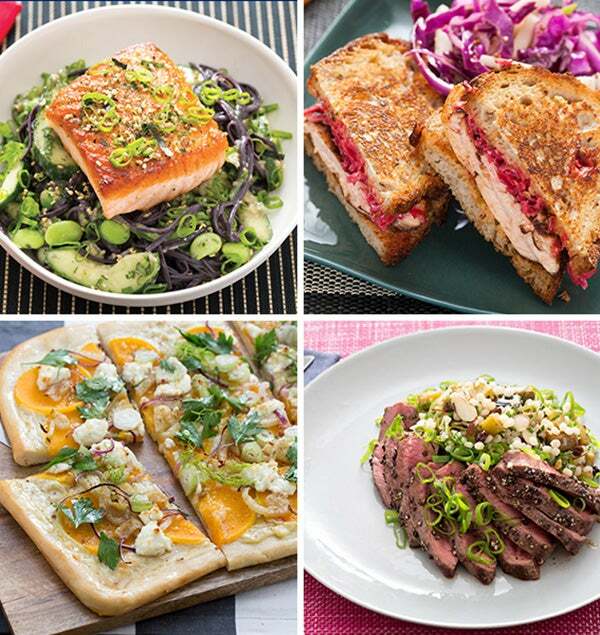 Preheat the oven to 425°F. Heat a medium pot of salted water to boiling on high. Pick the sage leaves off the stems. Peel and medium dice the butternut squash. In a large pan, melt the butter on medium-high. 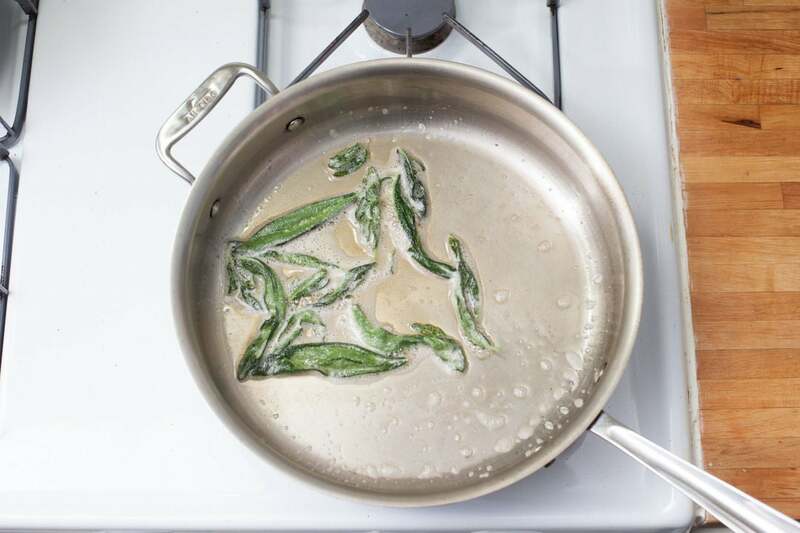 Once melted, add the sage leaves and cook about 1 to 2 minutes, or until dark green and crispy, being careful not to burn the butter. Transfer the leaves to a paper-towel-lined plate and season them with salt and pepper, leaving the butter in the pan. Sprinkle the whole wheat flour into the butter and whisk until combined. Cook on medium-high about 1 minute, or until lightly golden. Slowly whisk in the milk until no lumps remain. 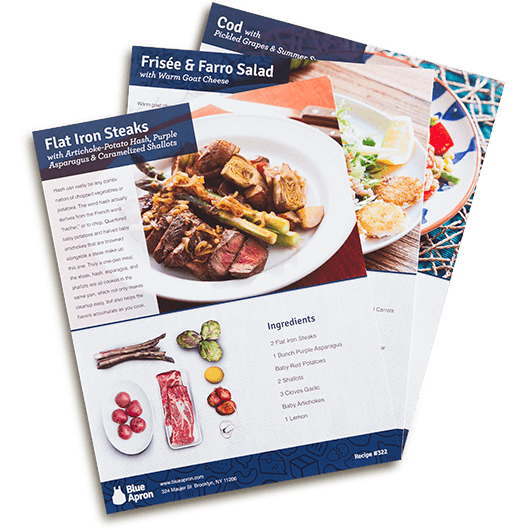 Reduce the heat to low and season with salt and pepper. Simmer 2 to 3 minutes, stirring until the sauce starts to thicken. Remove from the heat. While the sauce simmers, add the butternut squash to the boiling water. Cook 7 to 9 minutes, or until very soft when pierced with a fork. 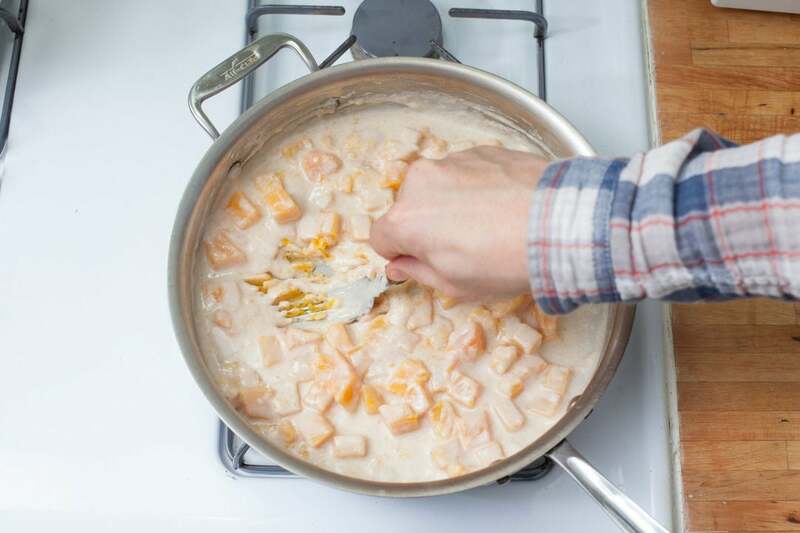 Using a slotted spoon, transfer the squash to the béchamel sauce, leaving the water in the pot. 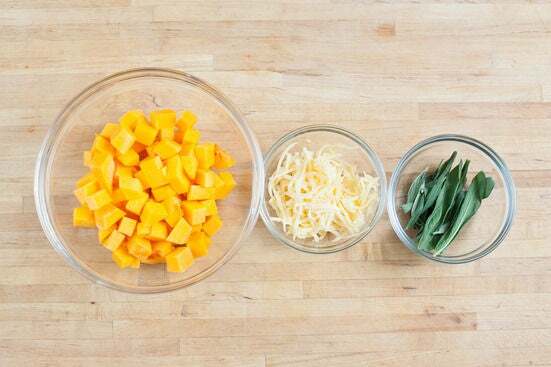 Using a whisk or fork, mash the squash into the sauce until thoroughly combined. If using, stir in the cinnamon, then season with salt to taste. Add the whole wheat penne and a big pinch of salt to the water used to cook the squash. Cook the penne 13 to 15 minutes, or until al dente. 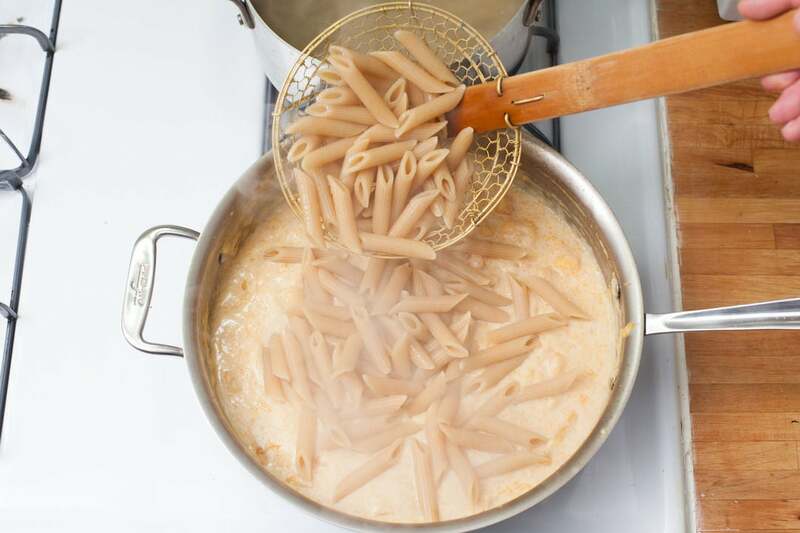 Before draining, reserve ½ cup of pasta cooking water. 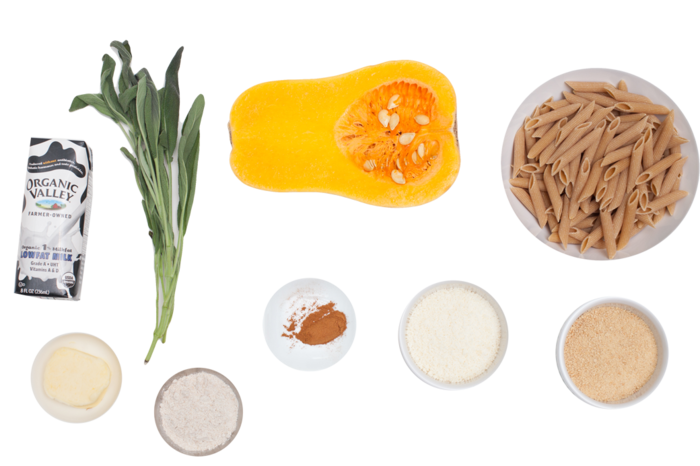 Transfer the drained penne, reserved pasta water, and the Parmesan cheese to the béchamel-squash mixture. Stir until well combined. 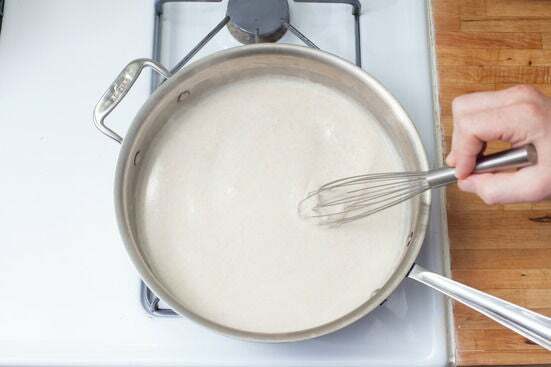 Transfer the béchamel-penne mixture into a baking dish. Drizzle the whole wheat breadcrumbs with a little olive oil to slightly moisten them, then season them with salt and pepper. 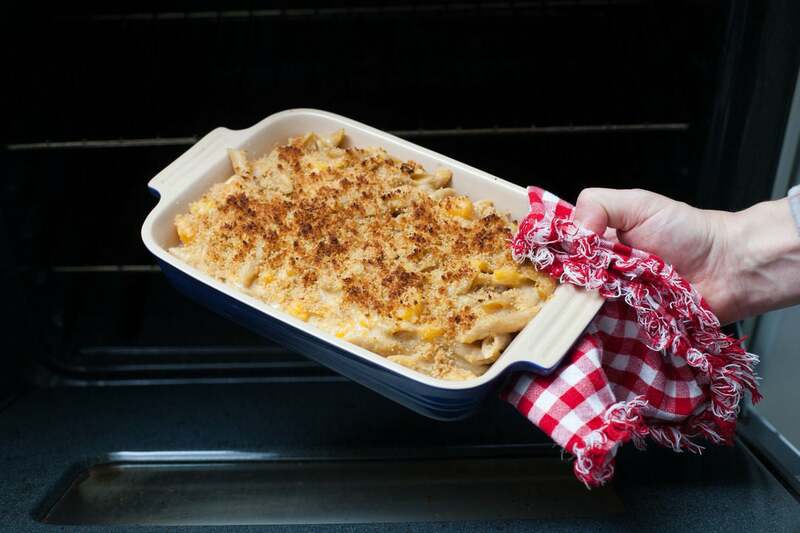 Sprinkle the moistened crumbs in a single layer over the casserole. Bake 5 to 7 minutes, or until golden brown and bubbly. Let stand for a few minutes before serving. 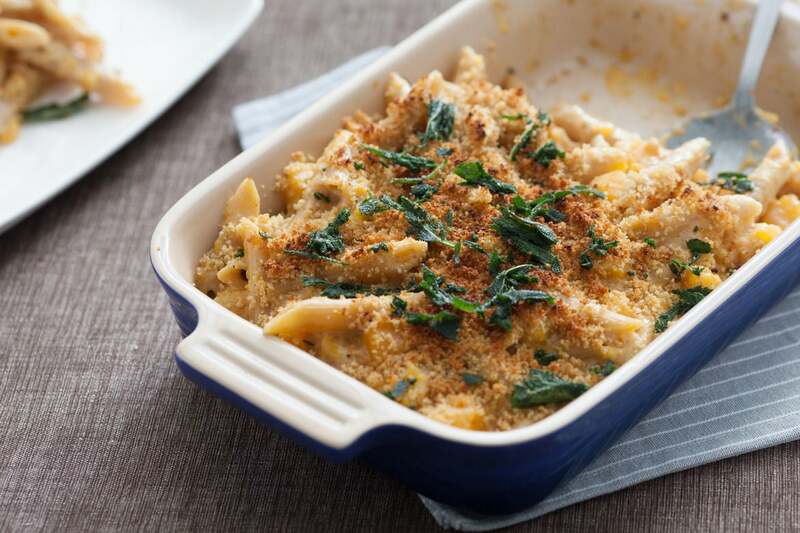 Crumble the crispy sage over the top. Enjoy!